The SaaS environment consists of an integrated architecture for a cloud based eProcurement system. 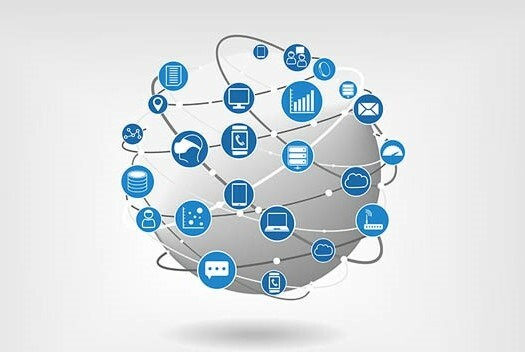 The system is driven by high-level SmartProcure process architecture. It enables automated online solicitation creation, management, workflow administration, online Vendor submissions, automated bid tabulation, proposal evaluation, source selection, reverse/surplus auction, contract management, KPI’s, and Vendor performance measurement processes. Supplier management module consists of supplier self-registration, commodity code implementation (NIGP and others), supplier search and participation reporting, online supplier submissions and communication. Solicitation creation, management, approval based on workflow administration, supplier outreach is supported. Use of templates and libraries and interface to other sourcing databases reduces the repetitive work of Agency procurement professionals. Automated email and video conferencing enables easy solicitation management, pre-bid communication, and automated reporting. Online proposal submission module enables secured online supplier submissions through secure virtual lockboxes and privacy protocols. Secured and virtual proposal opening initiates instantaneous automated bid tabulations and proposal evaluation infrastructure. The online submission module also supports reverse auction. The system has built-in surplus auction capability. Sysoft eRFP SmartProcure SaaS environment uses template based RFP evaluation process to reduce repetitive tasks and errors. The proposal evaluation system is intuitive and flexible. It has several cost models and statistical techniques to handle cost efficiently. 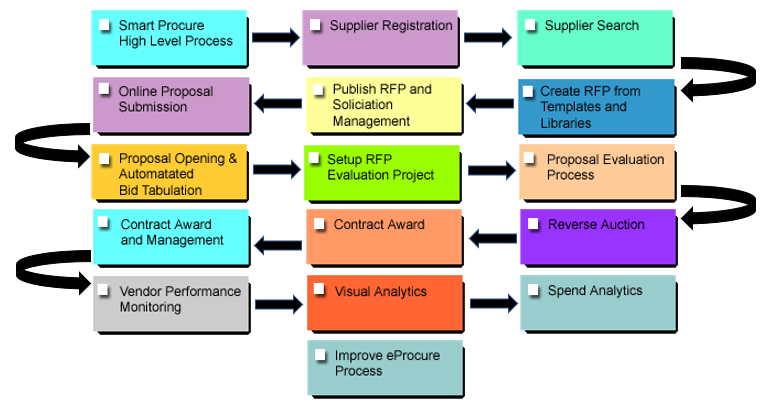 The evaluation process differs from Agency to Agency, RFP to RFP, and is fully user configurable. Average as well as consensus scoring based on strengths and weaknesses enable implementation of a flexible evaluation system. RFPs, proposals, and scoring guides can be uploaded into the system. The evaluators can access the secured system, read the proposal online, refer to the RFP and scoring guides and score the proposals based on criteria and provide comment. The System supports evaluation iterations and best and final offer process. A document repository helps in maintaining detailed audit trail of the solicitation and contract management process. Reports are available to buyers as well as evaluators (their own evaluation) for award meetings and more. A direct interface to Agency website facilitates the announcement of award and automated email capabilities help in process automation. In addition, the SaaS environment comes with an easy to use contract award, contract creation and management system, vendor performance monitoring module, visual analytics module for monitoring KPI’s and Balanced Scorecards, and an intelligent spend analytics capture and reporting system. The whole system is integrated to provide best value source selection and continuous improvement of the eProcurement processes. The internal policy of the Company allows us to utilize cutting edge technologies. We apply innovative solutions that help your business. Our commitment to client satisfaction strengthens and extends our relationships. We look forward to working with your organization.